Euro showing something in WY/CO @ 192. Once again has cold air going away here. Euro much different but still has the system. Weaker and further south. Here we go buckle up for a ride! You guy doing play-by-play comments on a d9 storm crack me up. It's not worth more than a passing mention at this range. Thus why AFD's usually won't waste more than that AMT of time on it. The reason they don't mention it is because it's outside of their 7-day window. A few forecasters go beyond that but not many. Hey Tom! What's your thoughts on the 17th to 21st period...hope to do some sledding up north. Wondering if that's the pullback period or still downright frigid. That is for any input! I think the farther north you go your going to be safe from any big thaw. Climo at this time of year is usually when its the coldest anyhow. It could get stormy around this period though so something to keep an eye on. I'll keep you in mind when I dive in deeper later in the month. My goodness, what an active wave train in the N PAC up into the Aleutians/Bearing Sea over the nex 10 days! 12z EPS has 3 significant storms taking almost an identical path straight up from the N/C PAC into the central Bearing Sea. You can't script it better than that and may likely translate to a very active second half of January. GEFS are also indicating a similar look. OAX is very excited about the long term obviously. They put awesome effort into the long term AFD. The extended period looks cold and dry with highs in the teens. 20s to lower 30s by next Saturday. My highs for next week just keep getting colder and colder and colder. There is a good chance that my highs could remain below zero much of the day and lows approaching all time record cold, which could be in the -20s. For sure -10s. Real feel if there is wind could be dangerously cold. This coldwave could surpass 13-14' cold. achieved on 02/02/1936 and again on 02/18/1979. This cold us reminiscent of the late 70's but unfortunately we had tons more snow back then. Maybe things will change but not looking good as of now. Wow GFS / CMC sure look pretty good for Nebraska, Iowa, Wisconsin folks here. Let's keep an eye on it. If the euro is still showing I’m liking the chances of some sort of trough moving through! Hopefully we get lucky with a share the wealth storm. Euro has a weaker storm for here but colder temps so it evens out here. May be even better cuz it would add onto our current snowpack instead of the current snowpack melting first. Okay, maybe I'm speaking too soon. Now it's showing as an Ozark special. I'll keep editing this post as the run continues. At hour 198, the snow literally splits and goes AROUND my county both to my North and my South. That's actually hilarious. I'm done watching, but I'll say it's better to be North of the bullseye of a potential system this far out than on the bullseye. In other news; it's -2 and i'm seeing some very light snow, it's amazing seeing the low level clouds zipping by with the moon shining through! The next couple of days could bring temps around here that we haven't seen in quiet some time. Lows below zero would be the first one I can remember. Although I do recall the outbreak of Jan. 1996 that brought about a 40 degree temp drop in like 3 hours. I think the next day we experienced below zero highs. 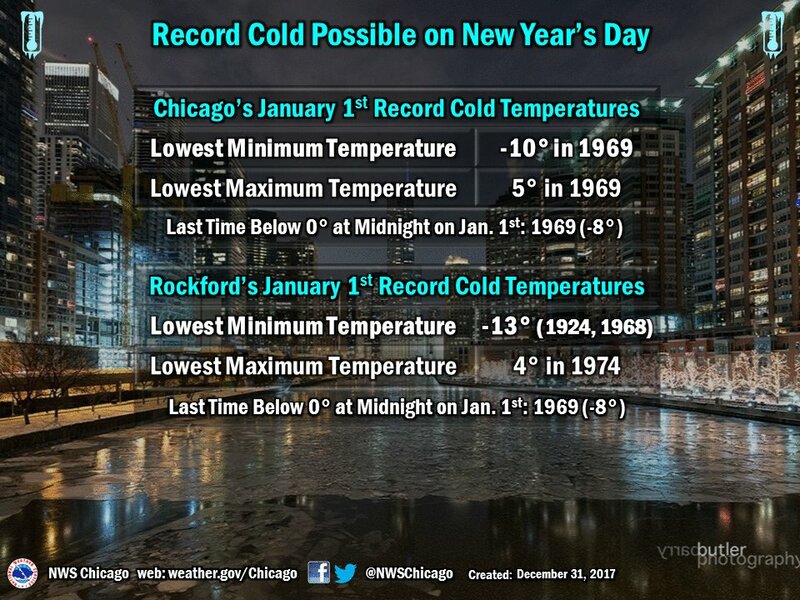 Regardless, we will have a cold start to the new year! I'm not. Just mentioning every model trend. That's literally why I said it's better to appear screwed by a potential storm this far out than cash in. If I got excited by being in a 20" bullseye 8 days out, then I'd be an idiot. Besides, why are you of all people telling me to be thankful? Stay warm my friend! Even though we are not getting as cold as you guys out there, we still may break or tie a record low tonight and a record low high for tomorrow. The prolong stretch of this cold is something else. 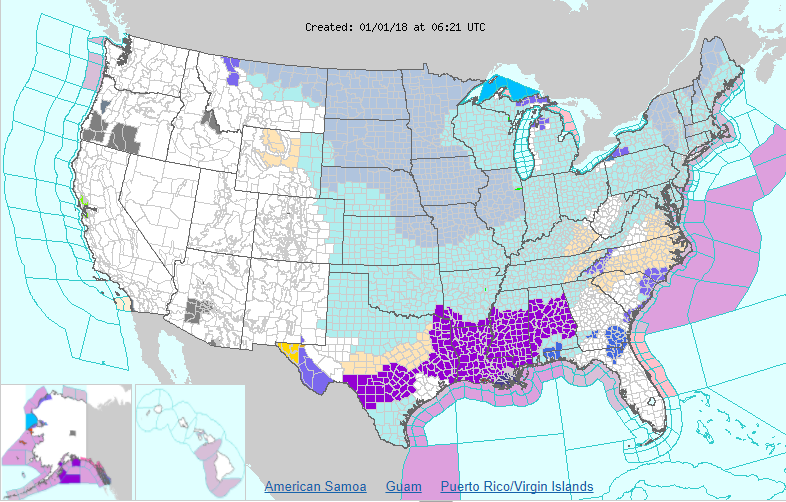 I just had this feeling back in Oct when those strong early Autumn HP's centered themselves over the Plains you guys would be experiencing some frigid air this winter. Happy New Year bud! IF the GEFS Strat forecats are correct, along with the N PAC pattern over the next 2 weeks, this month may end up significantly colder than expected. The forecasted behavior in the models of the Polar Vortex reminds me vividly of what we saw in Jan '14. Models keep trending colder in the extended and we are also seeing high lat blocking which is a bonus element into the pattern going forward. The CFSv2 weeklies may be beginning to trend colder for Week 3-4 as the model is suggesting a warm PDO/warm ring of waters in the N PAC. Well good luck to you and keep the posts coming!! The sun is shining and the temp is -2. Gonna be hard pressed to stay below zero I think. I'll be watching; one thing for sure it's like an arctic tundra out there! I'm glad we got the snow that we got last week. January 2018 looks to make a cold entrance. Lets see how this month plays out and if it will be as good as December was for MBY. If Ford makes good thermometers in their trucks it's -2 here. I think we hit 2 or 3 above. As of 11:15 AM, it is -5 with a Wind Chill of -23. 12z Euro has a sneak clipper tracking from NW/SE across ND/DSM/STL dropping 1-2” Thu pm into Fri am. I think December ended up between 21-26" IMBY. First storm walloped my area w 10inches, 2nd w 7.2inches and had a few smaller ones ranging within 2-4". Safe to say, that my snowfall tally #s run close to accuracy. Dont have time to do the search! Lets go for the record Chitown! Boston might be in for a major snowstorm next week. NYC is looking 50/50. All depends on the track. That storm will likely go out to sea. Gfs came out...still north with the system. But plenty of quedtions left to be answered. The track of that system has big ramifications on our system, cant remember what, but it does. On the bright side, fantasy GFS shows a decent storm here! GFS has clipper system that Euro was showing for Friday. It's a weak system but maybe something to watch. We are now down to -22 in Cedar Rapids with a windchill of -43. Rise and shine! Welcome to 2018! 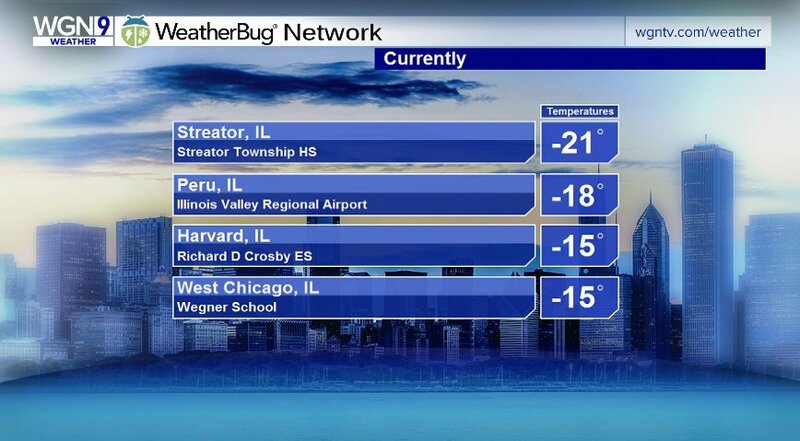 The future is here...as the sun rises, the temp at ORD dipped to a current low of -8F with a -27F WC under clear skies. Looking back, I guess the GFS wasn't off its rocker showing mid -20's for this period days ago prior to this Arctic blast.